Images in a blog post not only helps in making your blog post look more beautiful but it has more advantage like it helps in getting more image search engine traffic. Though, image SEO is one important aspect of it and simple suggestion is to, start working on Alt tag of your image. Before uploading any image to your blog, give it a meaningful name and use your post Keyword as Alt tag. This is one basic SEO tip for your images in blog post. Along with it, one important aspect of letting search engine like Google to crawl and index all your images, you should generate an image Sitemap of your WordPress Blog. Like we use Google XMl sitemap or WordPress SEO by yoast plugin to generate posts sitemap, it’s always a good idea to generate sitemap for your blog images. In this tutorial, I will be talking about one such simple plugin which will help you to generate sitemap of images on your Blog. 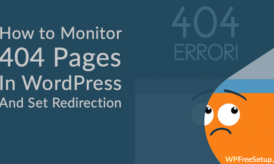 Earlier, I used to be a use Image sitemap plugin by Amit Agarwal but yesterday when I was creating a sitemap for one of my client, who have a huge WordPress blog (over 20,000 blog posts) that plugin throwed fatal memory error and I had to look for an alternate option. 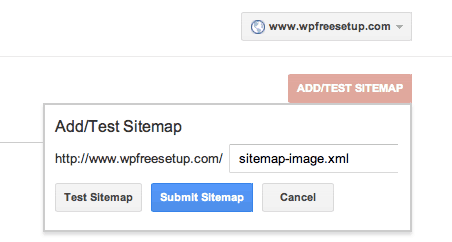 I stumbled upon Udinra All image sitemap plugin, which is another easy to use and implement Image sitemap plugin for WordPress, and follows the image sitemap standard. This is very easy to implement and use plugin and in this post, I will show you how to use it and submit your image sitemap to Google search. Download & install Udinra Image sitemap plugin from official repo here. That’s it and Google will crawl and index all your blog images. This step is very useful, to get a handful of image search engine traffic. Do let me know how many of you also create image sitemap of your Blog? Don’t forget to subscribe to my Email newsletter for more updates. If you find this post useful, don’t forget to share it on Facebook and Twitter. Image Sitemap will help you get your images indexed. I am developer of plugin mentioned in this post. Thanks for a useful post Harsh – we’ve got a cartoon blog and none of our images were being indexed.. am sure this plugin will help! This is a great post! I was about to use Google XML Sitemap for Images and thought I would see if Harsh had anything to say about it first 🙂 XML Sitemap images + Harsh into Google and there is my answer. Just installed Udinra All image sitemap plugin and it works perfectly. Thanks again Harsh! Not sure if the plugin works with wordpress WP Offload S3 plugin. I am using AWS S3 as storage engine for my wordpress blog. Udinra All Image Sitemap is not showing AWS s3 image urlsin sitemap which is strange. You’ve made the best Image SEO tutorial series on the internet. Thanks for that! What do you think about building backlink to the file image url, inculding the hotlink type? Thanks HARSH AGRAWAL for these information about image sitemap. I will try this in my wallpapers website. I am also facing this issue, Udinra Image Sitemap is not compatible with my Yoast SEO plugin. Yoast SEO plugin is giving warning when we use Udinra Image Sitemap. Even Sitemap generated by Yoast submits the image to Google, so if I create this image sitemap and submit, the amount of images that are being submitted will get doubled and duplicated. Does this matter? It shouldn’t be a problem. Since you are using Sitemap feature of Yoast SEO, you don’t need to use any other image sitemap plugin. Harsh Bhai, Out of 700 + images, only 64 images got indexed till now using yoast seo plugin. I know images do take more time to get indexed but It’s already been 2 months. Should i use Udinra All image Sitemap for my images ? Also, i see here many people are saying that yoast is not compatible with this. Please share your ideas on this too. hi guys, i use the seo by yoast in sure 200 of my clienst websites and as i can see – google show the amount on pictures properly but he not add more as 5% incase i disable the yoast sitemap and add the udinra it blows up with 80% added by google search. so my choice is sure udinra and google xml for regular posts. Thanks for sharing your observation. It would help others to make a good choice. You have explained nook and corner of the things. No it does not Yoast issues warning if there is any sitemap file in your WordPress installation. there is no conflict what so ever.